In Minneapolis and Saint Paul, boilers and furnaces are red-tagged when high levels of carbon monoxide are detected during safety tests. High carbon monoxide levels are typically caused when a boiler or furnace’s heat exchanger cracks, resulting in dangerous amounts of carbon monoxide leaking from the unit into homes. This most often occurs in heating appliances that are more than 10 years old. Since replacing a heat exchanger (if available) can be around half the price of replacing the boiler or furnace, most often homeowners choose to replace the heating appliance altogether. Because this is usually a large unexpected expense, it is a good idea to get a second estimate or opinion and be wary of high-pressure salesmen. If you have a red tagged heating appliance, contact Mill City Heating & Cooling for a free and competitive in-home estimate. 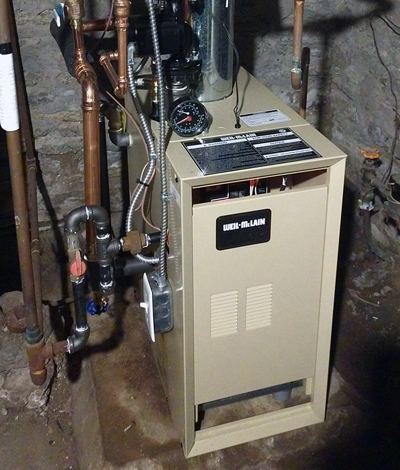 Recently, a Saint Paul homeowner had his boiler red-tagged so he called us for a second quote. He believed the first heating contractor was using high-pressure sales tactics and wanted a comparable proposal. We were able to get to his property the same day and provided the homeowner with a proposal to replace the boiler. He reached out to us later that same day and scheduled an install for the following day. We at Mill City Heating and Cooling do not believe in high-pressure sales; we believe in providing expert services at competitive rates.